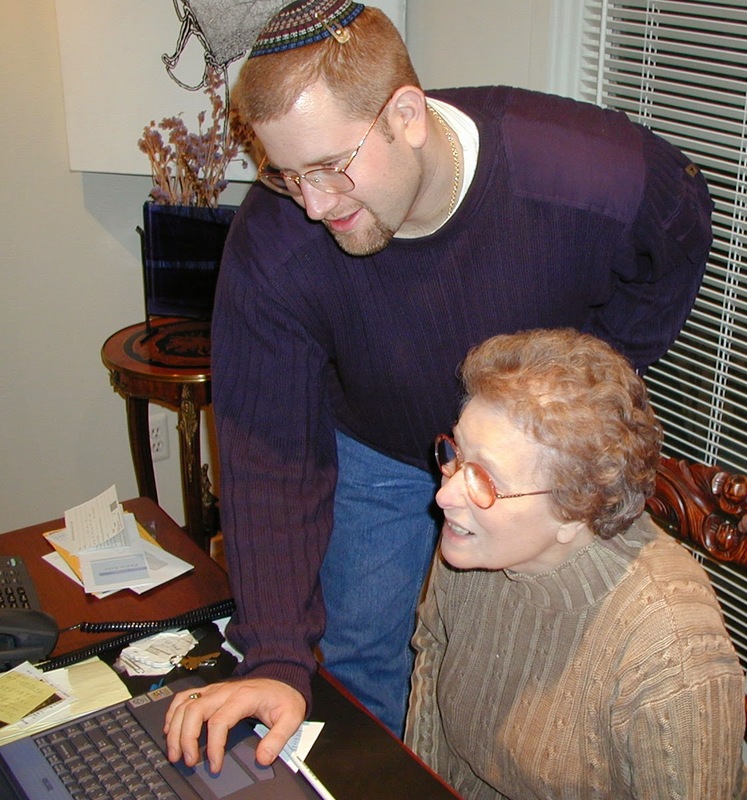 In my recent "Jews in the Digital Age" column for the Detroit Jewish News I showed how much we have come to take technology for granted. We become frustrated when our GPS doesn't correctly reroute us because of construction, forgetting how much this little device has changed our traveling experience. We curse the iPad when we're talking to relatives on vacation in Australia using Skype, Google Chat or FaceTime and the connection becomes wonky, without realizing how revolutionary it is that we can video chat in real time for free with someone on the other side of the world. The idea for this article came to me after introducing my grandmother (she's almost 94) to the online music app Pandora and seeing the magic of this technology through her eyes. A few weeks ago I found myself quite agitated. I was in the Jewish Community Center's fitness center on a stationary bicycle when the WiFi signal became too weak for me to continue watching a television show on my cell phone that I had recorded on the DVR at my home the night before. I was connected to a SlingBox at my house through the SlingPlayer mobile app on my phone. My annoyance only lasted for a few seconds as I just switched to the Netflix app, began watching an old episode of "How I Met Your Mother," and continued with my workout. It wasn't until later that day that I realized how ridiculous it was that I was aggravated by this minor technical glitch and had become so indifferent to the amazement of this 21st century technology. I ordered my grandmother a new desktop computer from Amazon and took it over to her West Bloomfield home to install it. She watched in awe as I quickly assembled her new computer, connected the monitor, keyboard and mouse, and installed the Windows 8 operating system. This wasn't her first computer, but it was her first brand new computer. In the past she would graciously accept any of the older models her children or grandchildren weren't using anymore. After setting up the Internet connection I asked her if she had ever heard of Pandora. She had not. I swiftly installed the app, set up a new account for her and created a few stations of music I knew she would enjoy. When she realized that she could simply type in any song, artist or genre and listen to it for free, she was amazed. Her eyes lit up like she had just seen fire for the first time. And that's when it hit me. I have completely taken technology for granted. To truly appreciate the modern innovations we enjoy on a daily basis, we need to see technology through the perspective of an octogenarian or a nonagenarian. My children's generation can't be blamed for not appreciating technology for they were born into the digital age. The way I don't remember a time before power windows and answering machines, my children don't remember a time before smartphones, GPS, DVRs and digital cameras. My 93-year-old grandmother, Adele Gudes, on the other hand remembers when there was no FM radio and now she can have an algorithm select songs for her based on her musical taste. Her sense of amazement was a wake-up call for me. Not only did my grandmother's introduction to Pandora alert me to how easy it is for us to become blasé about modern technology, it also made me regret not taking the time to introduce her to other innovations that we all enjoy and have come to take for granted. On a return visit to my grandmother's home I offered to set her up with a Facebook account. I reasoned that she would be able to see photos of her grandchildren and great-grandchildren and stay updated of our lives. Her response surprised me. She wanted to know how much it would cost for a Facebook account. When I told her that it's free, she looked sad. She explained that for years she's felt left out because she always hears her family members talking about what they saw on Facebook and how everyone seems to know the latest gossip because of the social networking site. Had she known it was free she would have asked for an account a long time ago, she reasoned. Again, I felt deep regret. Why hadn't I thought to set her up with a Facebook account earlier? Had I assumed she wouldn't be interested because of her advanced age? Perhaps this is a mistake that many of us in the younger generations make when it comes to introducing the golden generation to technology. While my grandmother doesn't walk as quickly as she once did and doesn't drive a car or play Bridge anymore, she can certainly enjoy listening to music on Pandora or scanning photos of her grandkid's recent vacation. Miry Serlin of Michigan Senior Planning makes it a point to encourage her clients to use technology to stay in touch with their families. "One 96-year-old client continues to feel, in his words, 'relevant' by using Facebook and LinkedIn," she explained. "Skype is also great for seniors to stay connected with relatives in different states and countries." Boomers have embraced the Digital Age thanks to their children encouraging them to learn to use smartphones, tablets, eReaders and even wearables. Too often, however, we neglect the oldest generation and forget to encourage them to take advantage of the modern innovations that have changed our lives in significant ways. It's never too late to start. To really appreciate the wonders of our Digital Age, just buy an 80- or 90-year-old a new iPhone or iPad and watch as they discover Siri. First, you are a wonderful grandson being so helpful to your equally wonderful grandmother, ad 120. Yes, using all these IT devices can be very good for the elderly. After Shelly's passing, my eldest,son GIlead, gave me an IPad which I initially said I don't need- not being very comfortable with new things- but soon I learned how to use it and I feel that it was helping me with my adjusting to the new situation. I still enjoy it on a daily basis.